Do you sometimes feel insecure? Wish you had the confidence to just go for things? Then you might be suffering from imposter syndrome. That’s where you feel like you don’t deserve the success you’ve achieved. It can lead to anxiety, stress and depression so that you begin to question your own abilities. People with the syndrome feel inadequate. They doubt themselves even when the evidence points to the contrary. … because deep down they don’t really believe they deserve them! The Non-Awareness set is a powerful way to communicate with the unconscious mind. In this video, you will see Igor Ledochowski introduced his fellow hypnotist trainer and former hypnosis training student – Steve Roehm. Steve begins his communication by sharing his training philosophy and encourage people on how to gain hypnosis skills. Have fun in the training session and laugh a lot! Next, Steve explains how the things going on in our unconscious mind can be expressed easily through the movements like nodding, or fidgeting. What does this mean? 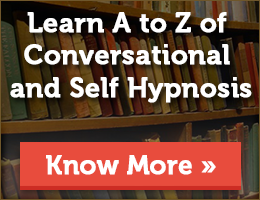 Does it mean that a hypnotist can hijack the experiences using conversational hypnosis? For example, when you find a subject is doing something unconsciously that the hypnotists are not aware of, such as a deep breath, or a smile. Then, use the non-awareness set to place them in a deep trance. In fact, in this video, you’ll see a complete demonstration of the non-awareness set. Check out hypnotists Steve Roehm & Karsten Küstner demonstrate Milton Erickson’s highly-effective tool. Setting up a hypnosis business isn’t going to build itself. It has to be fueled to get its engines running every day. Suppose 80% of your business is produced by putting 20% of the efforts and money, don’t you think it would be wise to tip the scales in your favor? What if you stop spending 80% of your time generating a few results and concentrate only on the 20% that actually matters? This is a very helpful question to ask yourself when you are trying to build up a hypnotherapy practice. Creating a dynamite lecture demo is one of the important parts of any business engine. You need to start feeding people into your business machine so they get processed into clients. Creating a great lecture demo is relatively easy to do. As being a trained hypnotist you already have enough knowledge that will be required to gain attention. Check out this article to discover a few marketing tips that could benefit you to have more effective management. What’s the point of hypnotic storytelling? To break down someone’s resistance. To activate their unconscious mind. To make it easier for them to enter a trance. And ultimately, to help them improve some aspect of their life. Stories can help you establish a connection with your client. They can act as subtle ways of teaching a lesson. They can even be used as the main body of a hypnotic induction. However you use them, hypnotic stories can help people lead better and more rewarding lives. 6 Of The Most Influential Types Of Hypnotic Stories That Build Trust, Induce Trance & Put People At Ease. 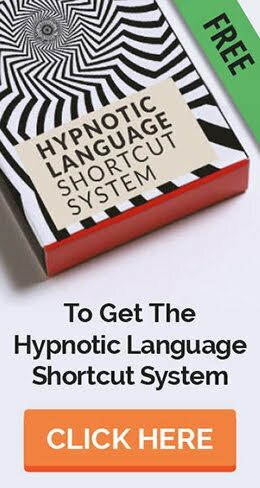 The Hypnotic Language Shortcut System is a card-based language learning process that was developed from the work of the legendary Milton H. Erickson. Rather than learning hypnotic language by its old or hard way, all you need do is to follow the fun exercises and games taught. In this video, the Legendary Milton H. Erickson explains how the same problem can be explained in a totally different manner – just by changing the meaning. As humans, we tend to create conclusions on the basis of information that we have about a story or a topic and then form meaning without knowing it actually being true or not – which can also be called jumping to conclusions. This is also how self- fulfilling prediction work. 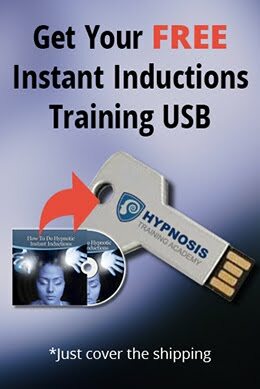 Enjoy this interesting phenomena with Igor Ledochowski and visit Hypnosis Training Academy to learn more such interesting techniques.